(Natural News) Numerous aromatic substances can help lower stress levels. According to a study published in the Journal of Physiological Anthropology, inhaling the aroma of black tea is an effective stress-reliever. Data from a Japanese study has revealed that “[inhaling] the aroma of black tea may help to lower stress levels after a stressful task and improve mood prior to experiencing mental stress.” The researchers involved in the study set out to discover if certain food flavor components can affect stress-induced negative brain functions. The research team, which consisted of scientists from Chubu University, Mitsui Norin Co., Ltd., Tokai University, and the University of Shizuoka, analyzed the alleviating effects of two kinds of black tea aromas (Assam and Darjeeling tea) on physical and psychological stress. For the study, the researchers worked with 18 healthy volunteers (13 females and five males). The participants, who were aged 20 to 21 years old, were instructed to only consume water at least three hours before each trial began. The Uchida-Kraepelin test, a psycho-diagnostic test that includes arithmetic tasks which must be solved in under 30 minutes, was used to induce stress in the participants. The test was split into two 15-minute sessions. Between the sessions, the volunteers had one minute to either inhale the aroma of black tea or be exposed to warm water (as a control). The salivary chromogranin-A (CgA) levels was used as a stress marker to analyze the effect of the inhalation of the black tea aroma in the participants. CgA is an acidic protein produced in response to stress. The researchers noted that compared to volunteers in the control group, the group that inhaled the aroma of black tea had lower salivary CgA concentration levels 30 minutes after they accomplished the mentally stressful tasks. The authors explained that both the teas had the same effect even if the Darjeeling tea aroma had a higher concentration of anti-stress components, like hexanal and hexanol (which are said to minimize mental stress response in rats), and Linalool (which has sedative effects) than Assam tea. Previous studies have determined a link between the consumption of tea and different mental health benefits, such as decreased risk of developing Alzheimer’s disease, improved alertness, and stress reduction. The researchers of this study concluded that the Darjeeling tea aroma helped reduce the tension and/or anxiety score immediately after the first exposure. It has a group of polyphenols with antioxidant properties. Consuming antioxidants can help lower the risk of chronic disease and boost overall health. It has flavonoids that are good for heart health. 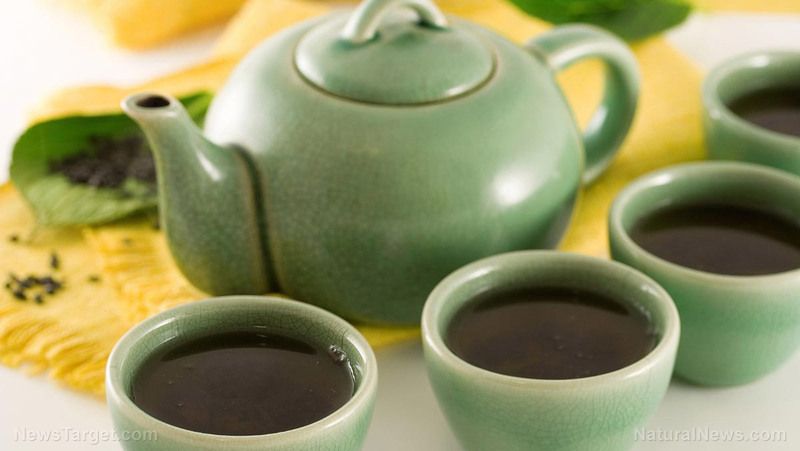 Drinking black tea regularly can help reduce the risk of heart disease. Black tea, which has polyphenols and antimicrobial properties, can help improve gut health and immunity. It can also help minimize the risk of stroke. As a non-sweetened beverage, black tea may help improve the use of insulin and reduce blood sugar. You can read more articles about the benefits of black tea and other natural ways to relieve stress at Healing.news.